‘It’s the Most Wonderful Time of the Year’ ai??i?? Engineers Week! While I love the holiday season, Iai??i? ?m already looking ahead to another of my favorite seasons. Each year, from winter into spring, we engage in a celebration of our profession, sharing our love for engineering with everyone from schoolkids on up to adults, culminating in Engineers Week in February. Civil engineers are among the most active volunteers, and with good cause.Ai?? Civil engineering is truly everywhere, and kids respond well to efforts that explain the important role civil engineering plays in their everyday lives. When was the last time you shared this message in the classroom of a child you know?Ai?? Or perhaps more importantly, when was the last time you thanked a volunteer who has made it their passion to reach out to the next generation for the sake of the profession? ASCE is planning to recognize volunteers as part of its Engineers Week celebration. We are asking every Section and Branch to think about the work done by their local volunteers in the past year to promote the profession, and to name an individual whose efforts are worthy of a little extra recognition. To make submitting your volunteerai??i? ?s name a little easier, thereai??i? ?s an online form. This special group of volunteers will be cited as champions during the awards luncheons at the Multi-Regional Leadership Conferences, and I will be there to congratulate this yearai??i? ?s honorees and to personally thank them for their dedication and involvement. During Engineersai??i?? Week, these Champions will be further recognized and be presented with a small token of appreciation from the Society. I encourage you to join other professionals in initiating or taking part in Engineers Week volunteer activities. In the weeks leading up to and including February 19-25, make it a point to celebrate engineering, to volunteer or thank a volunteer, and to help kids discover the important role that engineering plays in their lives. Have you volunteered for Engineers Week activities in past years? Help inspire others by talking about your experiences in the comments below. I checked with the San Francisco Section of ASCE and found that currently there are no activites planned for Engineers Week. Thanks for the posting announcing eWEEK. In Chicago it will be the Chicago Architecture Foundation that kicks off eWEEK with their program: CAFamily ‘Engineering” Day, Sunday, February 19th. ASCE and other engineering groups will have activities to interest children. On February 24th dozens of Chicago area engineering associations (including ASCE-IL) will gather for the Chicago Engineering Benefit. Dozens of exceptional science (read engineering) students will be honored for their accomplishment in Future City, IIT Bridge Competition, Construction Challenge, Robotics. 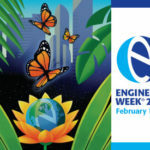 Chicago eWEEK will conclude on Saturday February 25th with the huge IIT (Rice Campus-Wheaton) Engineering Expo. Dozens of engineering societies (including ASCE-IL) will have hands-on activities for children, students. 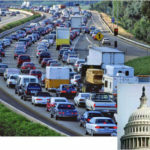 This event generally draws over 1000+ visitors. For many years I’ve tried to get the local [Chicago] news media to cover the outreach programs of engineers to children, students. I finally achieve this success as Water Reclamation District Commissioner Frank Avila interviewed me in a 30 minute program. The video aired on CAN-TV (CHICAGO) on COMCAST CABLE- Chicago Station #21. Got in a good plug for the various student engineering outreach programs! Thanks for your post. I will encourage my local chapter in San Francisco to share their activities here as well. I read with interest your blog. I have never seen a list of volunteer activities from my local chapter that i can remember. I think it would be a good idea if they would post a list as a way of encouraging others. I have a project in mind for this year. I will send an email to my local chapter requesting a list. Thanks for your post it is very helpful. The Northeast Branch, Indiana Section, ASCE has been involved years ago with a popsicle bridge building event. The event started over 20 years ago and now involves two contests, one for middle school students and another for high school students. The Branch and its members were instrumental in creating the event and conducting the early years of it. However, the branch has at times been non-active, and in those years a few folks (ASCE members) continued the activity with other area engineers either representing themselves or the local NSPE group or just as members of the Fort Wayne Engineer’s Club. 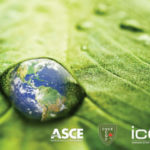 The collaboration with other engineering organizations is very evident with the Northeast Indiana E Week activities but unfortunately ASCE, at least with the local branch, is not formally connected these days. The North Central Branch, Indiana Section, ASCE connects with the local South Bend (St. Joseph County) Indiana Library for Science Alive, event info. at http://www.science-alive.org/ although the event does not always coincide with Engineers Week. I think, I ‘ll be in the U.S.A. between on February 5 and 10. I want to be there on Feb.19-25. congratulations for your celebration.